The adaptive re‐use of an existing office tower into a new business school for this urban university presented a major opportunity to catalyze further development in Newark and to forge a new identity for a business school that is transforming itself into a world leading institution. 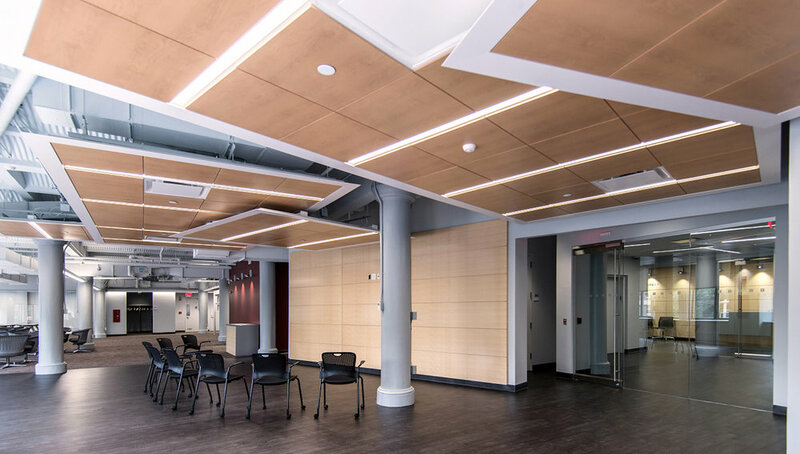 The project consolidates the educational and support functions currently contained in four buildings on the existing campus and further integrates the School’s campus into the downtown fabric. The project establishes a northern gateway to the University District, helps build a “bridge” between “town and gown”, and prominently demonstrates the University’s commitment to the surrounding neighborhood. Located in a historic district and adjacent to the Newark Public Library, the building strives to reestablish the vitality of the urban street wall previously eroded by the past development of the existing office tower. A new glass encased pavilion serves most importantly as the new front door of the Business School and opens out onto Broad Street and toward Washington Park. The design resolves the contradictory programmatic requirements of providing large lecture hall spaces (which function best without windows), while still allowing the School to have an open and inviting presence in its new surroundings. The faceted mosaic form set behind the ultra‐clear glass curtain wall defines the enclosure of the lecture halls within and serves as urban sculpture. 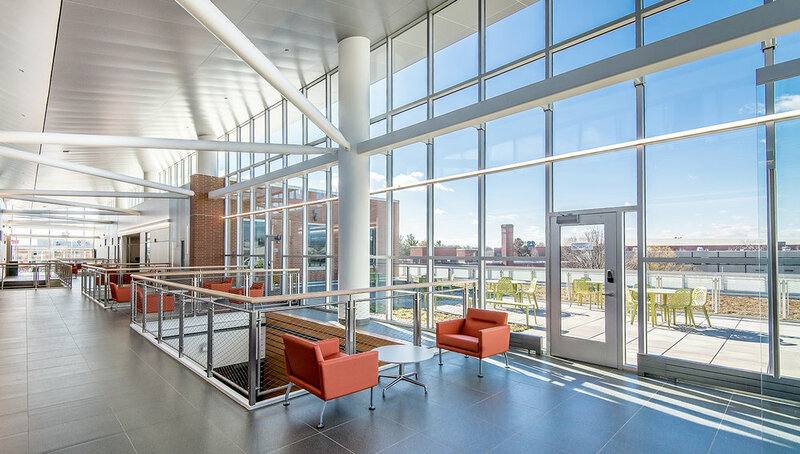 The interstitial space between glass enclosure and lecture halls functions as the “living room” of the new Business School. 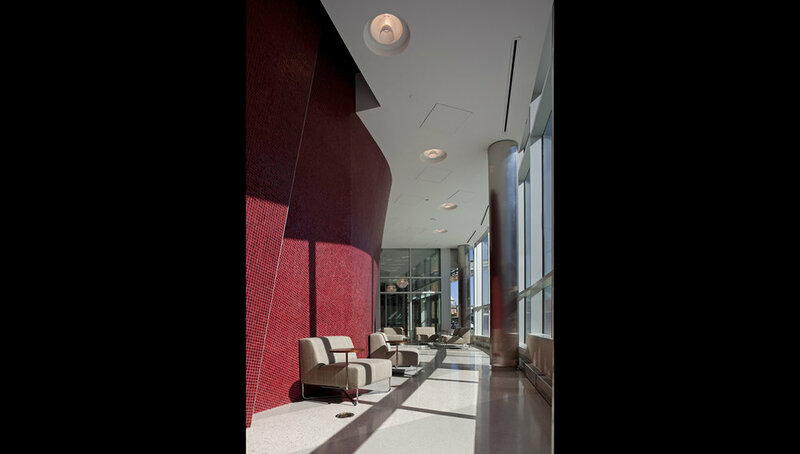 The atrium and grand stair unite upper floor program functions such as classrooms, lounges, and a terrace/green roof on top of the pavilion. The location of the most publicly accessed elements of the Business School are on the ground floor and include a café, admissions, and the trading room simulator to help create an inviting and active streetscape.